Common Ground offers birthday parties for all ages. Programs can also be scheduled for Scouts or other groups. To schedule a birthday party call Rebecca Holcombe at 203.389.4333 x1213, or email rholcombe@commongroundct.org. Birthday Party Frequently Asked Questions. 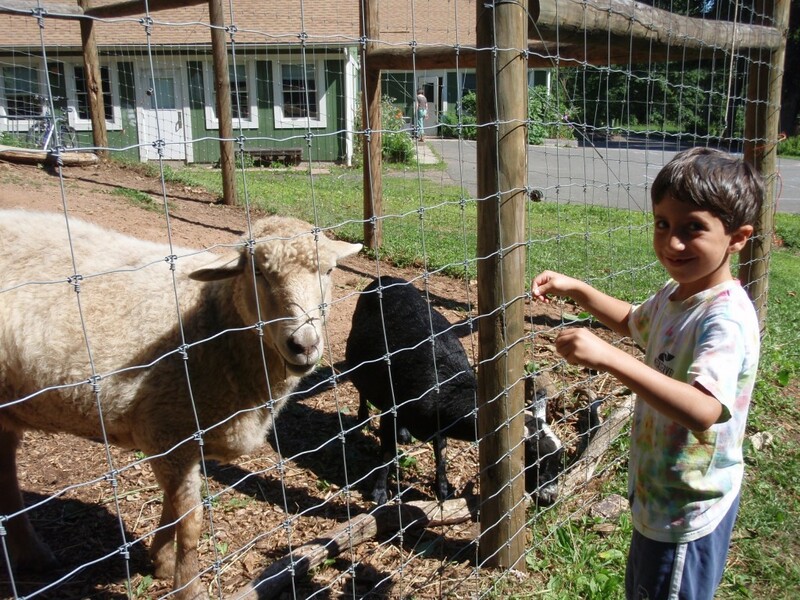 Meet our family of farm animals and go on a tasting tour in the garden. 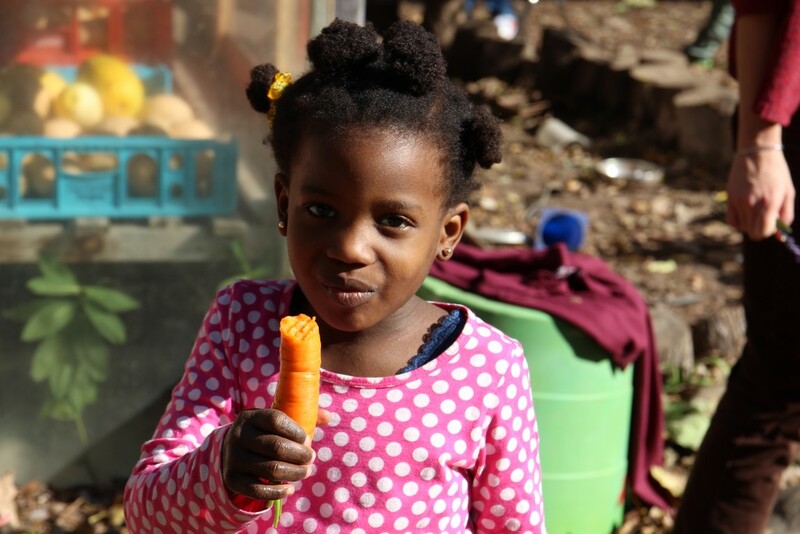 Children will visit all the farm animals (chickens, ducks, turkeys, goats, sheep) and taste fruits, vegetables, and herbs in our gardens. This program includes about 60 minutes of farm time, 30 minutes for your birthday celebration, and 30 minutes for a nature walk in the woods immediately adjacent to the farm. 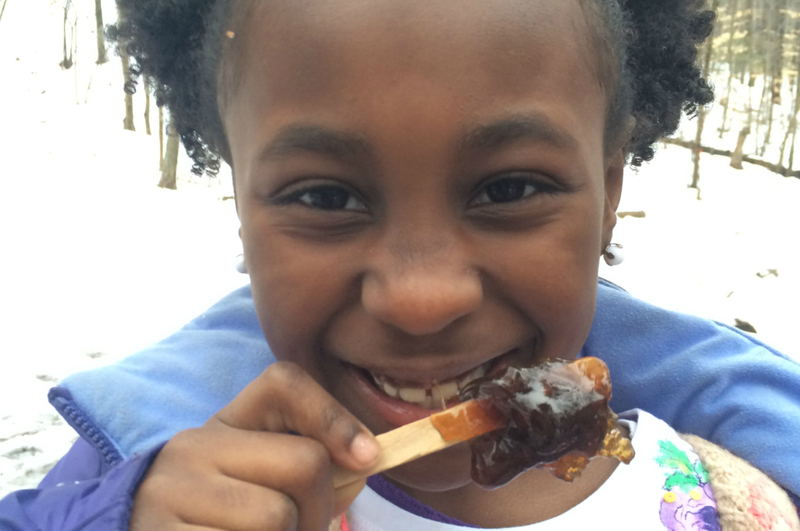 Winter parties are great for sledding, animal tracking in the snow, campfires, or learning about maple sugaring (seasonal – best in March). Each winter is different, so call to talk about options for a wonderful winter celebration. Our garden is sleeping in the winter, but pizza making is still a great winter activity, too. 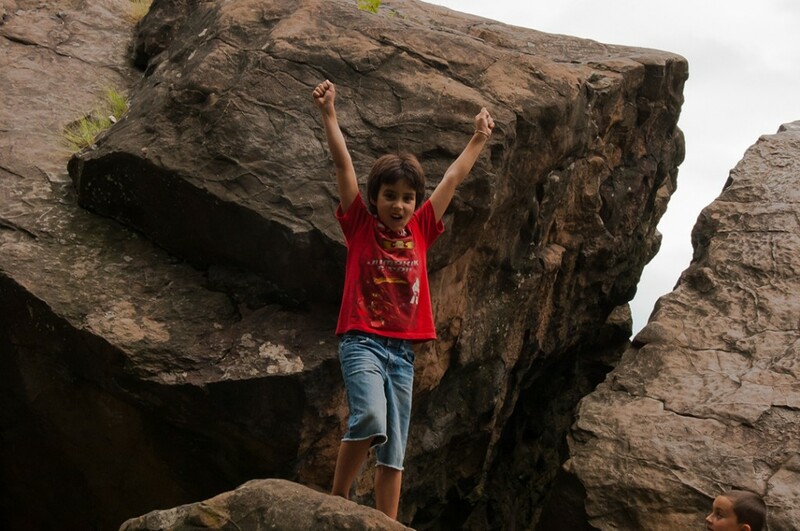 Recommended for ages 6 and up, this hike to Judge’s Cave ends up at 3 massive boulders that form a cave between them. We will have time for climbing, playing, and exploring before heading back downhill to Common Ground. Common Ground staff will lead the hike and point out interesting natural features along the way. 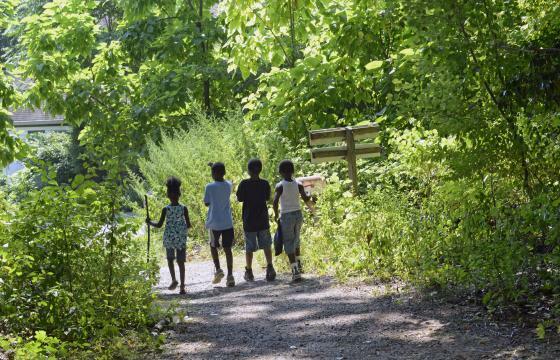 Please note that hiking programs do NOT include time to go into the animal yards or the garden. Invite your friends for a special and unique celebration in the woods. 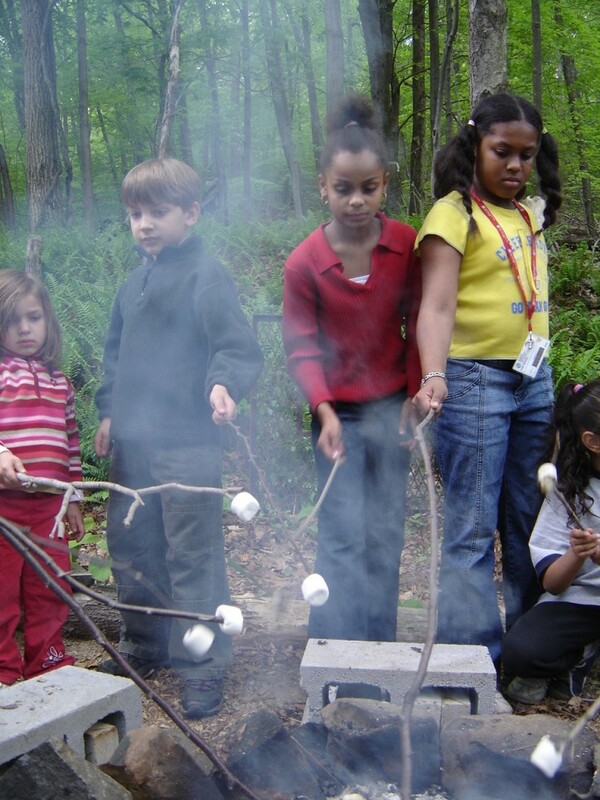 We will gather in Common Ground’s outdoor classroom for a campfire and time to explore and play. You are welcome to bring marshmallows or anything else you would like to roast over the fire! This program can be scheduled for daytime or for sunset (tell your guests to bring a flashlight!). 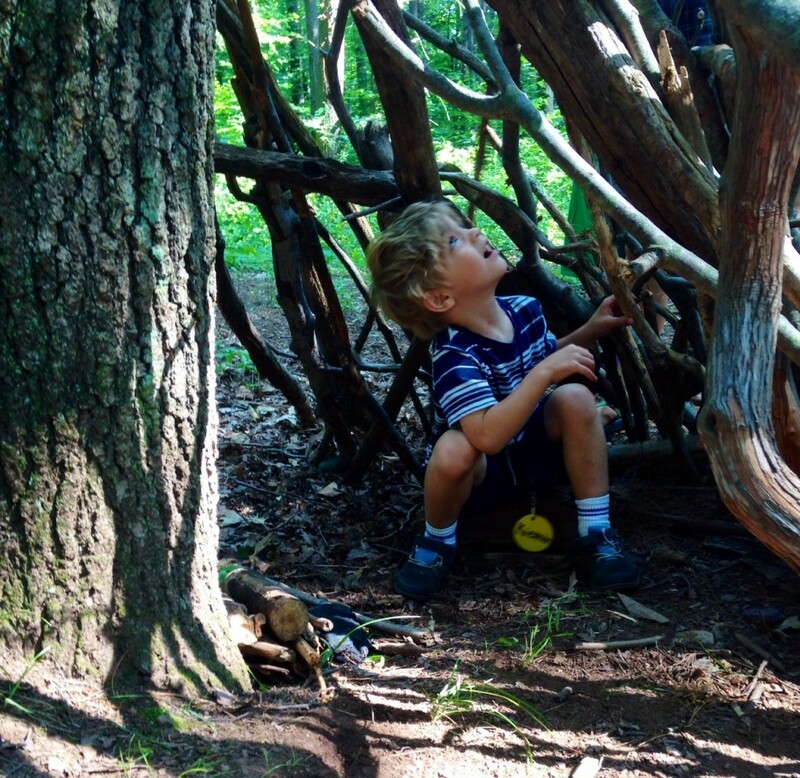 If you do not want to hike, a campfire can be combined with fort building or other outdoor play in the woods instead. We will spend about 60 minutes around the campfire (this is also the best time to do a birthday celebration) and 60 minutes on the hike or playtime in the woods. 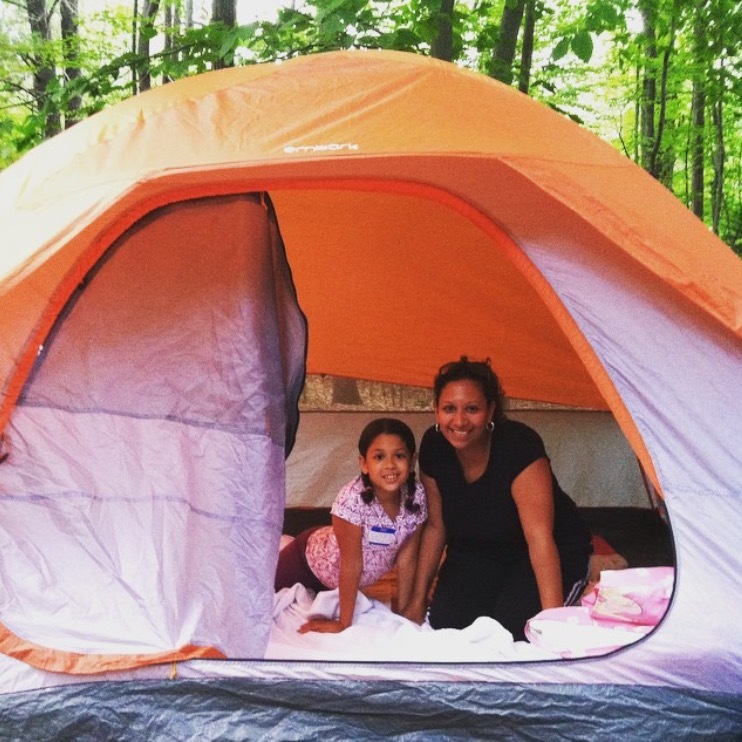 Overnight camping at Common Ground is a very special way to enjoy nature in the city. 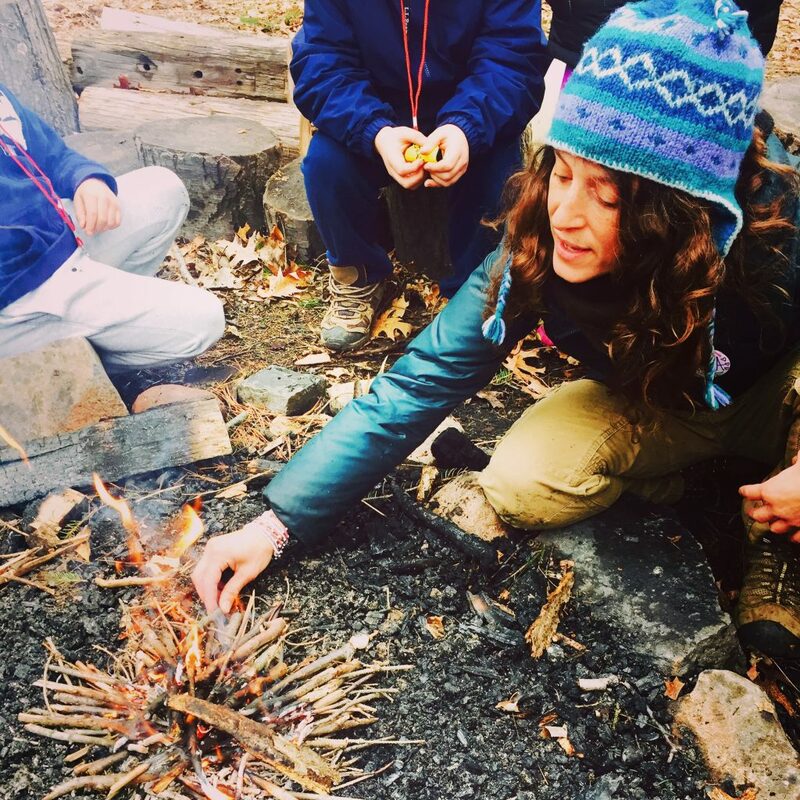 We will gather in Common Ground’s outdoor classroom for a campfire and time to explore and play. You are welcome to bring marshmallows or anything else you would like to roast over the fire. 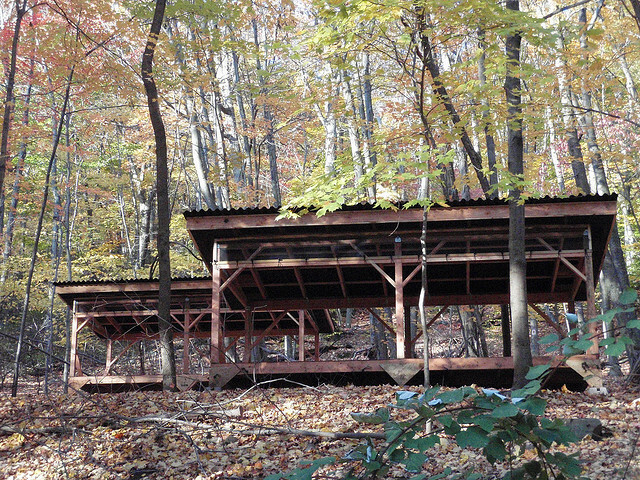 The campfire will be followed by an optional guided night hike in West Rock Park. For sleeping, guests should bring their own sleeping bags and will spend the night in one of our covered tent platforms. 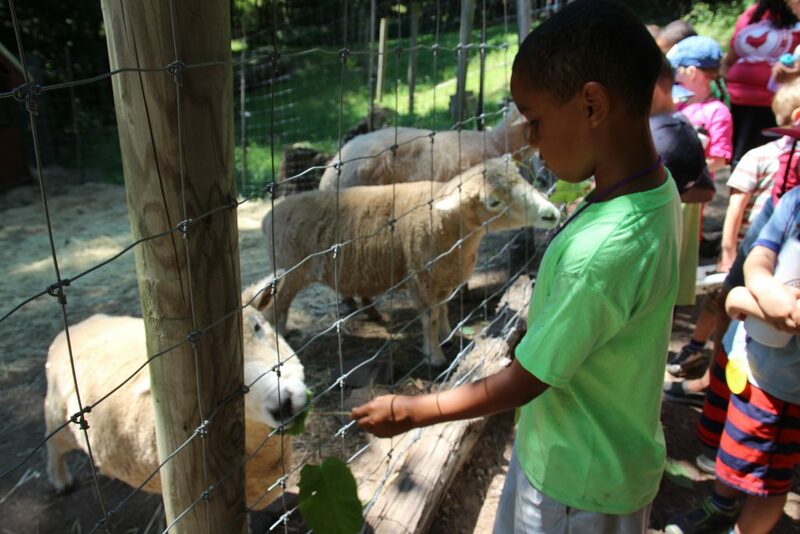 In the morning, enjoy the sounds of the farm and the forest as nature wakes up for the day, and visit the farm animals before packing up to head home. Number of Participants: We can accommodate up to 48 guests in the covered platforms. We ask that one adult be present for every five children for any overnight camping program. Program Fee: $375 for the first 30 people, $10 each for additional. No food included – suggested to bring snacks for evening campfire and breakfast. What is provided by Common Ground? Common Ground staff will provide the activities and structure for your program and will be prepared with a basic first aid and safety kit. We will provide a clean facility and have the buildings open 30 minutes before your program is scheduled to start. Parents and chaperones should be prepared to participate and help with supervision. You need to bring: You are welcome to bring decorations and food. Please supply your own utensils, plates, and any other desired party supplies. Please note that refrigerator and freezer space is NOT available. Maximum number of people: 40, including all children and adults. This is flexible – our indoor space best accommodates no more than 40 people, but it is not necessary to have an exact head count (just know that the farmhouse will feel crowded with more than about 40 people). Who are the staff? One experienced Environmental Educator will host your party. The educator will be with you for the full party time to lead activities and then to help serve any food or other celebration you wish to share. Payment details: Payment may be made on the day of the party by cash or check made out to Common Ground. If paying in cash, please plan to bring exact payment, as your staff person will not have change available. 2:00: You arrive and meet your staff person at the farmhouse. You can set up any decorations or snacks during this time. 2:30 – 2:50: Guests arriving and playing. This is usually just running around outside! 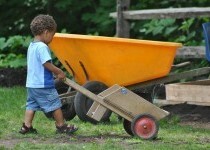 We have balls and hula hoops and sidewalk chalk, as well as a big sand box and mud kitchen. If it is very cold out, we have legos and books that children can enjoy in the farmhouse. Some families like to put out snacks during this time. 2:50 – 3:50: Staff person will organize kids and lead them in activities! 3:50 – 4:30: Time for you to share cake or other celebration! (kids can also go play outside again when they are finished eating). What if it is very hot/cold/rainy? Please tell your guests to dress for both indoor and outdoor time, even if it is cold or rainy! The farmhouse classroom is always reserved for birthday parties, so you will have use of that space as “home base” for food and other celebration if you wish. The farmhouse is heated, but not air conditioned. In nice weather, a covered picnic area with 8 large picnic tables is also available as home base if you prefer (it is fine to decide on the day of the party). Is there wheelchair and stroller access? The farmhouse (and farmhouse bathroom) are wheelchair accessible. Some parts of our campus have woodchip or gravel pathways that are difficult for both wheelchairs and strollers, and other areas are more easily accessible. Please let us know if you’d like to plan for wheelchair access. What is the address for invitations and where will guests park? Our address is 358 Springside Ave in New Haven. We have plenty of parking on campus. Guests will park in the lot and then follow the signs to the party meeting location (usually the farmhouse, but some campfire or hiking parties choose to meet up in the woods). When you arrive: Your staff person will meet you at the farmhouse 30 minutes before your party. If you have heavy drinks/cake/other things to unload that you do not want to carry from the parking lot to the farmhouse, you will be able to drive up the service entrance to park in front of the farmhouse. You provide the treasures and give them to your staff person when you arrive, 30 minutes before your party time, and the staff person will go hide them. Party City or orientaltrading.com are good sources for treasures and trinkets! For treasure hunts we usually do a short hike (about 15 minutes), ending at the forts building area in the woods for the treasure hunt. 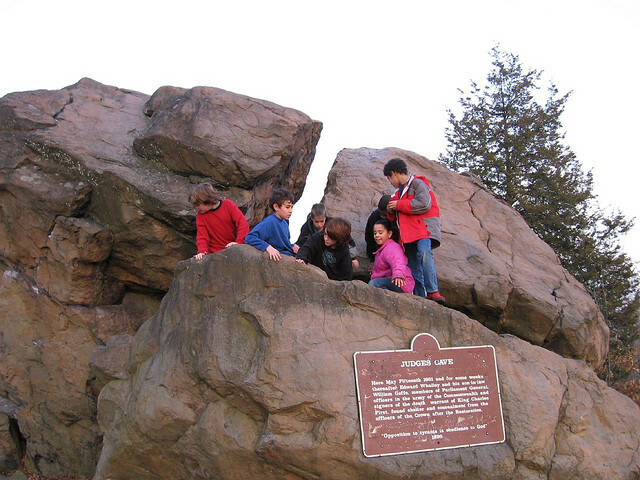 If you prefer, you can skip the hike and have a longer time for fort building or a campfire after the treasure hunt. Goodie bag style: you make a small baggie (a ziplock bag is great in case the woods are wet) for each child, and our staff will hide them. The staff person will instruct the children to each only find/claim one bag, and then to ask others of they want help finding one. Treasure chest style: you make several boxes (shoe box or similar, at least four, but more is great) each with one kind of treasure in it, one for each child. For example, one box with 24 bouncy balls, one box with 24 pencils, one box with 24 bracelets, etc. We hide the treasure boxes and when a child finds a box then all the kids run over and get one treasure from it (repeat until all boxes are found). What does Common Ground provide? Common Ground provides all ingredients and supplies for cooking and eating the pizza or cupcakes! 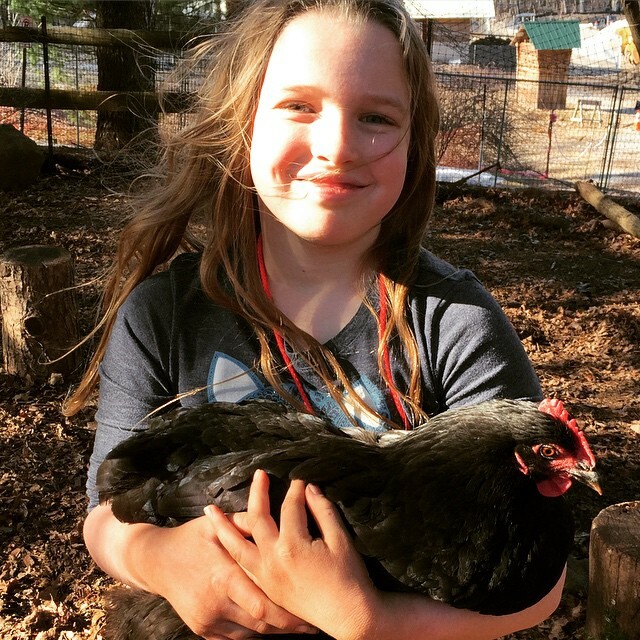 In season, we will use ingredients from the farm as much as possible (herbs and toppings from the garden for pizzas, eggs, herbs, and edible flowers for the cupcakes). Please note: We plan for all children to make their own cupcake or mini pizza. Adults do not make their own pizzas or cupcakes. You are welcome to bring any additional snacks you’d like to! 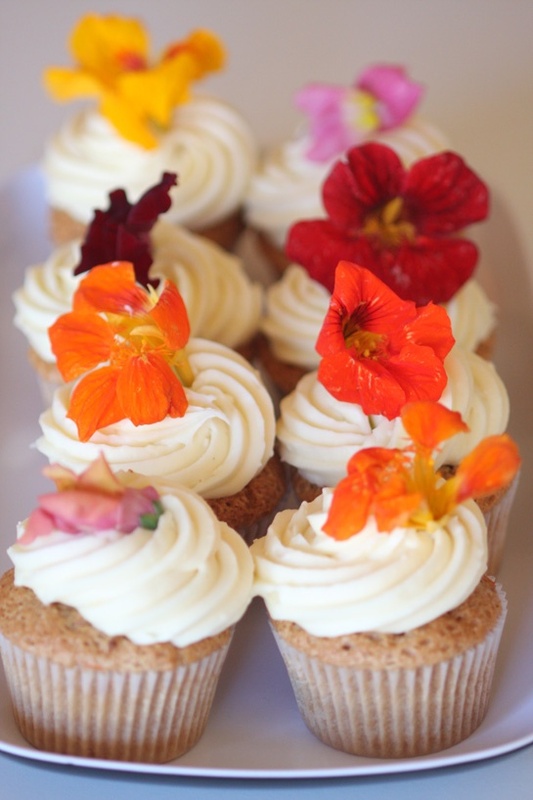 Common Ground is not a nut-free facility, but all ingredients for both pizza making and cupcakes are nut-free. The cupcakes contain gluten, eggs, and dairy. The pizzas contain gluten and dairy, but are egg-free. Guests are welcome to bring their own gluten free dough, vegan cheese, etc if desired. 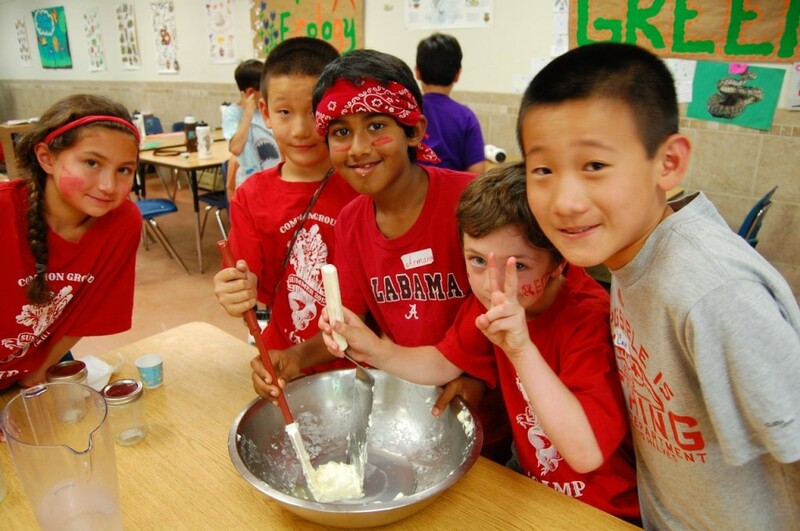 2:50 – 4:30: Staff person will organize kids to cook! This includes inside cooking time, outside farm time, and eating what we made. 4:30 – 5:00: Time for you to share cake or other celebration! 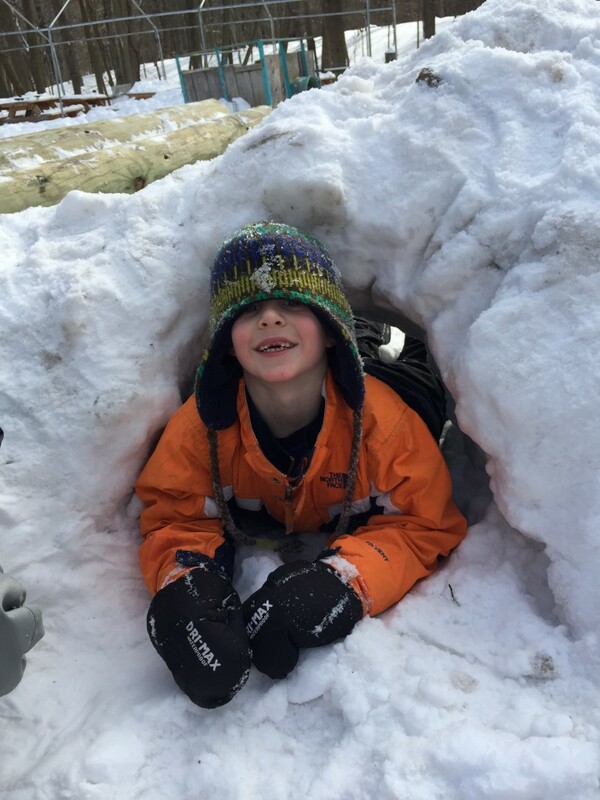 (kids can also go play outside again when they are finished eating).